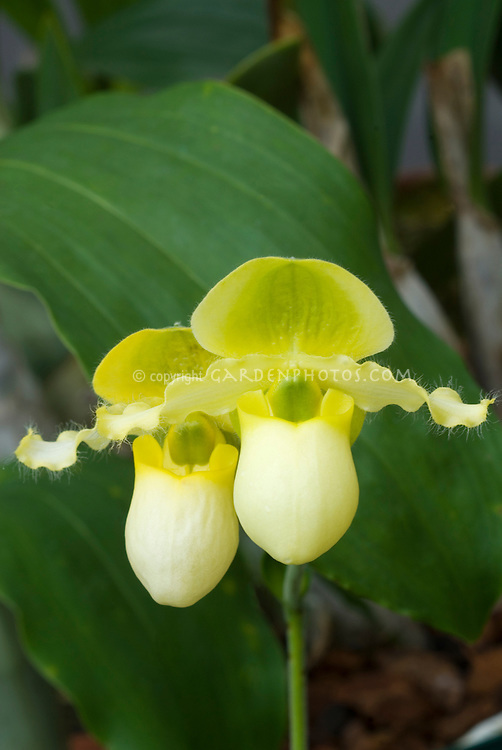 Paphiopedilum primulinum yellow orchid species with two flowers. Usually only 1 bloom at a time unless first flower is just about to fall off. Successive flowering orchids, easy to grow.